When you are considering ACL Surgery, choosing which ACL replacement graft to use is not always an easy decision. This will be the second post in our “Straightforward Diagnosis, 5 Professional Opinion Series”. Our first post focused on our approach to an 18 year old athlete and how we determined who needed to consider ACL surgery and who didn’t. Choosing which graft is more appropriate for your needs is not always straightforward. Let’s see what our panel of experts says. Which ACL graft Would You Choose to Reconstruct the ACL of an 18 year old Athlete? S.S : My preference in young patients is to use autograft. Many recent studies, including the recent MOON studies, have demonstrated that autograft is superior to allograft, with significantly decreased risk of re-rupture, in a young athletic population. The risk of re-rupture approaches equal at about age 35. My graft of choice for this patient would be a semitendinosis autograft. Harvest of this graft has lower risk and morbidity than bone-patellar tendon graft. There is a lower risk of persistent anterior knee pain and patella fracture with hamstring graft. Most studies have shown equivalent functional results, re-rupture rates and return to sport when comparing hamstring to patellar tendon grafts. D.G. : I am a strong proponent of using autografts for young, active patients. Generally I tend to like patellar tendon grafts, but I would be fine with either a patellar tendon autograft or hamstring autograft. I do tend to worry a little bit about hamstring grafts in females due to the possibility of worsening the quadriceps:hamstring imbalance. I try to avoid allografts in young active patients due to a higher rate of reinjury that many studies in recent years have shown. D.O. : I would typically use HAMSTRING AUTOGRAFT as my graft of choice. While bone-patellar tendon-bone autograft is another good choice, the disruption of the patellofemoral mechanism can increase chances of later patellofemoral pain and arthritis, down the line. I have some experience with quadriceps tendon allograft, and this would be another good choice as well. J.B. : No Allografts for primary isolated ACL reconstruction in any active (usually all) pts under 45 yo. Too much data showing higher rates of failure for me. I find autografts are easy to harvest. Offer BPB and quadrupled HS autografts with preference for HS. My interpretation of the data is both provide very similar outcomes. BPB higher rate of anterior knee pain, kneeling pain, earlier PF OA and risk of patellar Fx. I’ve seen all of them except fractures in my patient (seen fractures in others). I see very little, if any, complications with HS and prefer that. No experience with Quad tendon. S.M : Most of my experience is with bone patella tendon bone AUTOGRAFT. I recommend this graft for most of my patients. Other than the slight loss of sensation around the incision I have not had patients complain of significnant anterior knee pain. I believe this is due to the details of post op therapy which focuses on patella mobility, quad tendon stretching and maximizing knee extension. I do use bone patella tendon bone ALLOGRAFT for less active older patients (older than 40) especially if the patient cannot afford to be off work. When discussing your ACL surgery with you, your surgeon should discuss the graft choices available, and which graft they feel is best to suit your needs. 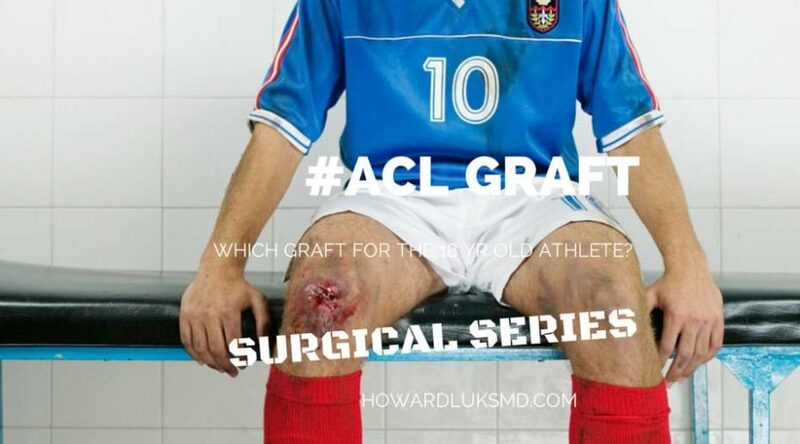 Allografts (cadaver) grafts are probably a poor choice in an athletic population. Hamstring grafts are a good choice, but might cause weakness – if both of them are used. Patella tendon grafts are also a strong choice, but might raise the risk of residual pain in the front of the knee. Which ACL graft is best for you? That’s a good question to ask your surgeon, and hopefully these experts have given you some key points to review with your experienced ACL surgeon. Thank you for article Doctor. I am facing ACL reconstruction shortly and would like your feedback on grafts. I am a 58 year old male, very active, excellent shape, never had any knee injuries. What type of results might I reasonably expect from an allograft at my age. I want the strongest possible knee after surgery and am willing to consider all options although I am a bit leery of the patellar option due to possible kneecap pain. HI Tim … Can we start with why you are having the ACL reconstructed? Then we can help determine next steps. Hi, I’m a very active 15 year old who tore her acl about a month ago and is getting surgery in a week. My dad insists i get a cadaver but I’m not sure which is better to have. I want to continue to play travel soccer and another question is; will i ever be as good as i once was. Was my injury from over use from high school soccer and travel or just simply a wrong turn i made. I would be VERY cautious about a cadaver graft. You, your dad and your surgeon need to discuss what the research shows about the use of cadaveric grafts in your age group. I’m too facing ACL reconstruction shortly and would like your feedback on grafts. I’m a 48yr old male in law enforcement assigned to the K-9 Unit. I’m above average in activity level and never had any knee injuries until recently. I’m wanting ACL reconstruction surgery, so I can resume my job and activities without any limitations. I too want the strongest possible knee after surgery. My surgeon has recommended the allograft. After reading several articles on the internet I’m beginning to question if that’s the best option for me. Can you help? The gold standard is the patella tendon graft from your own body. It is the strongest graft… but for the first two weeks it will hurt more than an allograft. Something sounds wrong … autografts simply “don’t take”. I would consider bringing a copy of the X-rays from the first surgery to see a second opinion. You need to know why the first one failed. It could be a technical or surgical issue, it could be many other reasons. But if these grafts are put in well they heal. A second opinion will be worth the time. In 2009 I tore my ACL, and both meniscus, in my right knee. The ACL was repaired using an allograft, and the meniscus was repaired. In 2012 the meniscus repair failed, and a good portion of it had to be removed. In March of this year the allograft repair failed, and now I am having repaired with an autograft. I am trying to determine which autograft to use, a patellar tendon or Hamstring. If you would be willing to give me your input on the matter I would be very grateful. I am a 26 year old male who works as an engineer on cargo ships and drill ships. It is a somewhat physically intensive job that requires me to do a lot of lifting, bending, kneeling, and working in uncomfortable/awkward positions. For fun/exercise I play rugby, do MMA, and go to the gym for weight training/cardio fairly often. I am also a Navy Reserve officer, which has a few physical requirements to go along with it as well (physical fitness tests and possible deployments). I’ve been dealing with knee problems for years now, and I would like the option that gives me the best chance at less long term pain/problems. Also, I’ve been told I’m showing some signs of arthritis, and don’t know if one graft is preferred when dealing with that. At the same time I really enjoy playing the sports I play, and would still like to be competitive in them. I am willing to rehab and stay out of sports for a year if necessary, and can stay off the ship for about 4 months. I have no intention of rushing into demanding activities that might cause more problems. My Doctor is Dr. Bashir Zikria of John’s Hopkins Sports medicine, and it appears he is leaning towards the Hamstring, which – based on what I’ve been reading – is what I’m leaning towards too. I just want to get as much information, and as many opinions as possible. Thank you again for any help you are able to give. Autograft is certainly your best option … B-PT-B or hamstring are both effective alternatives. Since you had a large portion of the meniscus removed and are starting to develop OA have you or your surgeon talked about the possibility of meniscal transplantation? Hi Dr. Luks – Thanks for the great article & your responses above. I tore my ACL this summer & am facing surgery in a few weeks. I am an athletic 15 year old boy hoping to play high school sports again in a year or so. Which option do you think is best for me? We’re also talking with two potential surgeons, both highly recommended with excellent reputations, one has about 10 years experience & the other about 45. Any thoughts on that? Good Luck Bob … your options might be limited if your growth plates are open. Then the hamstring is likely your best option. When growth plates are closed then you can discuss the options of a patella tendon or hamstring graft with your surgeons. Avoid allograft. I tore my left ACL in March while playing rugby. I’m 14 years old and play sports at a competitive level. In July my Dr said that surgery is know needed. If I am to be operated on BEFORE my growth plates close which is the best option and which one is the best choice AFTER my growth plates close. After 9 months recovery, I want to return to playing contact and non-contact sports and a highl level so which type do you suggest when. A patella tendon graft is likely the best graft for active contact athletes… but you would need to wait until your growth plates are closed. Timing is an issue. Most of us favor early reconstructions in children because you are at high risk for developing secondary injuries such as a meniscus tear. Hi Doctor – I had a partial tear in my ACL which the surgeon decided to shave rather than perform a full replacement. 8 weeks after the operation the same has occurred, the decision this time round is for a full ACL reconstruction. I have been advised by the surgeon that the best option for myself would be for a synthetic graft reconstruction. I am a very active 24yo who played football 4/5 times per week. After reading the above I am skeptical of the decision that has been made. Could you give me your opinion? I think the post is pretty clear. allograft or synthetics would not be the best choice. My daughter tore her ACL playing soccer and is preparing for surgery. Her age is uncertain (international adoptee) but likely 13-15. She is two years post onset of menses. Her growth plates are very slightly open, Thoughts on best material for reconstruction? If the growth plates are open then a soft tissue reconstruction — commonly a quadrupled hamstring is indicated. If the growth plates are closed, anything but allograft is ok. A wrist xray can give you a “bone age” . First, thank you for this series. It is so helpful to be able to read opinions and link to studies when getting ready to make these decisions. My brother-in-law had ACL reconstruction using his hamstring a number of years ago, and has since had problems with his hamstring cramping and loss of range of motion. Because of this, my husband was going to ask for allograft for our son (almost 17 y.o. athlete) until I read this–again, thank you! I have a feeling our surgeon knows all this and would tell us what we’re reading here in our upcoming MRI discussion, but I wonder if you’ve heard of many patients with hamstring problems following autograft? 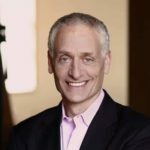 Was there something my BIL’s surgeon could have done to prevent the problems he’s having? My 16-year-old son is scheduled for ACL repair surgery (football injury) this Friday, October 23. A close adult friend has had two ACL surgeries within the year and was given Exparel. He insists that initial recovery and rehab is much easier than with other meds. What is your opinion on Exparel? I am a 31 year old male. I tore my right ACL and medial meniscus playing soccer on June 7th. I had an MRI confirm this diagnosis. I am scheduled for surgery with patella tendon graft on November 19th. Since my injury I have become able to return to my normal life with the exception of returning to sports. I am able to ride a bicycle and squat with added weight without any pain. If I did not know my ACL and meniscus were torn I would attempt to return to sports. In other words my knee feels completely stable. Is it common for an ACL absent knee to feel this stable? Is there any way my knee could be stable enough to return to competitive sports without an ACL? this is a pretty common story. Not everyone who has an ACL tear needs ACL surgery. I had an acl reconstruction and meniscus repair about 3 or 4 years ago. The doctor used my hamstring. Ever since the surgery i never really recovered and have not been able to play any sports. when i try my knee just buckles and i fall. i got another mri scan done and it shows that there is a tear again but the ligament is not all gone. the doctor insists that i can get better with only physio and that i don’t need another surgery. What do you think? Unfortunately the ligaments do not strengthen or tighten over time. I would like some feedback as well. My 14 yr old daughter tore both of her meniscus and her ACL from falling from a cheer stunt. Her surgeon did not give us any choices on graphing only patellar tendon. She was also a gymnasts for 11yrs. She is very active and wants to return back to being a flyer in cheer. Her growth plates are pretty well closed in the knee. Which graphing would be the best option for her. The other choices include the patella tendon and quadriceps tendon grafts…. perhaps you want to speak with a second opinion ?? What are your thoughts on allograft for patients over 35? I’m 38, in good health and fitness and had my ACL reconstructed 5 days ago using a cadaver graft. It was what my surgeon recommended based on my age, activity level, etc. I’m not in competitive sports, but I do like to attend a crossfit class a couple times per week, run 5Ks, bike, and ski a couple times per season. My work is sedentary, but I break up the day by walking at lunch. I also had a bucket handle tear and they removed 75% of my meniscus. I realize that will affect my ability to return to any high impact sports (running) but I’m willing to modify my exercise routines as they are all recreational. Given my age, level of fitness, and exercise routine, do you believe this was the best choice of graft? In certain people it is a good choice … go with it. My 13 year old daughter has a complete middle tear of the ACL and her growth plates are just about closed if not completely closed. Can you tell me if the hamstring graft is a good choice and if not, why? On average, how long does it typically take to make a full recovery before even considering a return to the soccer field? Hamstring grafts have a slightly higher failure rate. In addition… Females tend to be “quadriceps dominant” so taking the hamstrings can create a further imbalance due to hamstring weakness. In the end… a well done patella tendon graft or hamstring graft function well… but the patella tendon graft has a higher risk of long term anterior knee pain… and the hamstring has the risk of weakness and a slightly higher failure rate. This requires a long talk with your surgeon. At your age we repair almost all tears. Especially in the setting of an ACL reconstruction. Many tears will heal so it’s worth having the tear sutured back together — or left in place after the ACL surgery to heal on its own. Allografts at your age are not a good idea at all. They do not get you back to sports earlier … and they have between a 35-50% reported failure rate in your age group. Hi, I am a 34 year old female, very active rock climber, and have just recently torn my ACL, but all my other ligaments are intact. Do some people choose to not have surgery and is that ever recommended? I know with the active lifestyle I live, surgery is recommended due to the risk of tearing the others and not being able to do the physical activities that you once did. But I also just heard a story of a friend that lived a very active lifestyle and didn’t even know she had a torn ACL. If you have all the other ligaments, do you ever recommend not having surgery? I am also debating between the Patella Tendon and Hamstring. My doctor recommended the hamstring and I’m leaning in that direction, but I hadn’t heard about the imbalance in females between the quadriceps and hamstring. For a 34 year old female, what are your thoughts on which one to get? The issue with not reconstructing your knee is that you may find out that your knee is unstable at a very dangerous time. We can watch and wait on many athletes to see if their knee is stable or unstable. I’m not saying that you should definitely have surgery or not… I’m saying that your chosen activities and desire to continue to do them should enter into the decision making. If hamstring weakness will affect your ability to climb then it might not be a great graft choice.